Pollinators are animals that visit flowering plants and transfer pollen from flower to flower, thus aiding plant reproduction. North American pollinators include bees, butterflies, moths, flower flies, beetles, hummingbirds, and in some parts of the southwestern U.S. and Mexico, nectar-feeding bats. 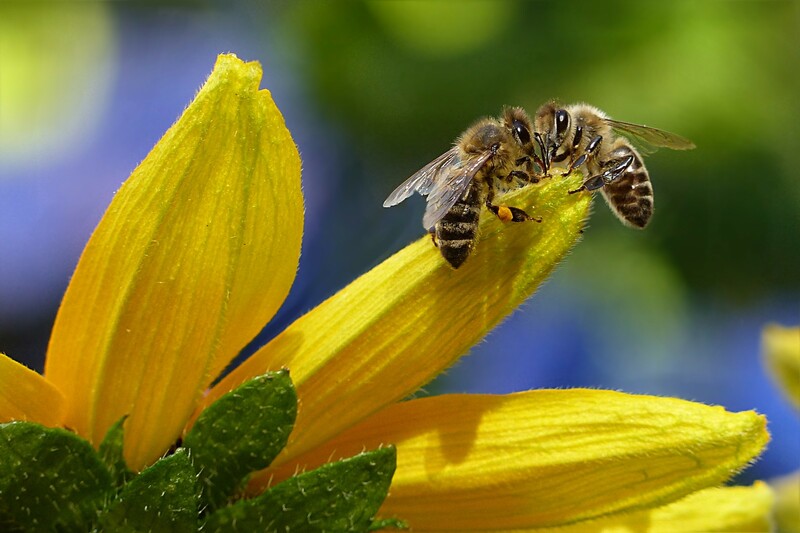 Bees purposefully collect pollen as a protein source for their offspring, making them very efficient pollinators. 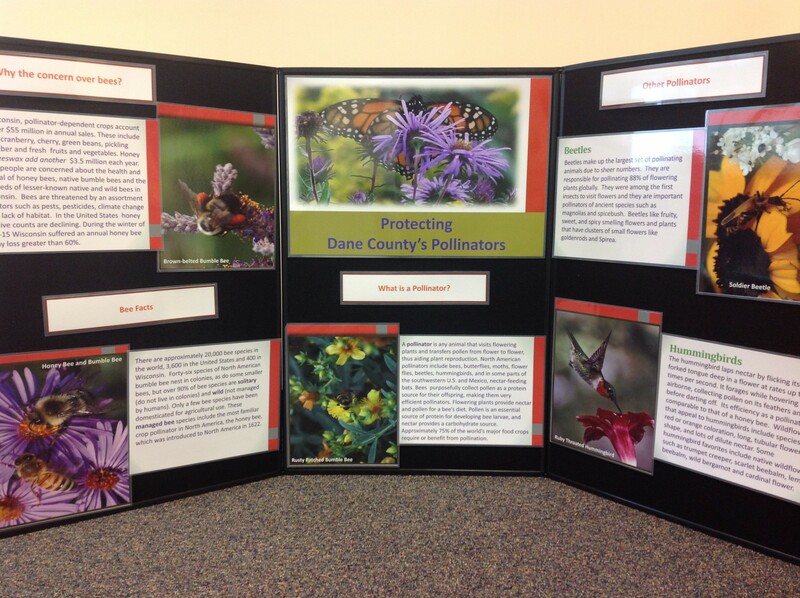 The Dane County Environmental Council in cooperation with UW-Extension has developed a set of resource materials to assist with education about the importance of and how to protect pollinators. These include: brochure, informational seed packets, a youth “fortune teller” game, and table top (36” x 72”) pollinator display boards. All can be checked out through the Dane County Natural Resource Education Center. Pollinator Protection Brochure Four color brochure describing the importance of and how to protect local pollinators. Spanish version. Pollinator Informational Seed Card Four color single fold information card that gets inserted with small amount of pollinator seeds into a bag for citizens to take action. Packet is put together as a youth or adult activity. Spanish version. Seed Card Activity Kit Contains a folded informational card, bowls with pollinator plant seeds, small bags, and Instructions of how to construct the seed informational packet. All this is in a tote bag that you can check out for youth or adult activity or to make as a stewardship incentive. Youth Activity – Pollinator Fortune Teller Game Activity is both coloring and constructing this “fortune teller” game and then playing the game while learning about pollinators. Spanish version. 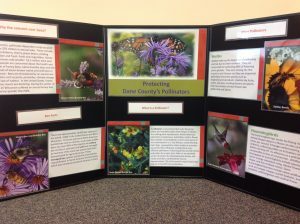 Brochure Display Holder Four color 11′ 14′ free standing display on Protecting Dane County Pollinators that contains a holder for approximately 40 brochures. Comes in 4 designs. One free holder available per organization. 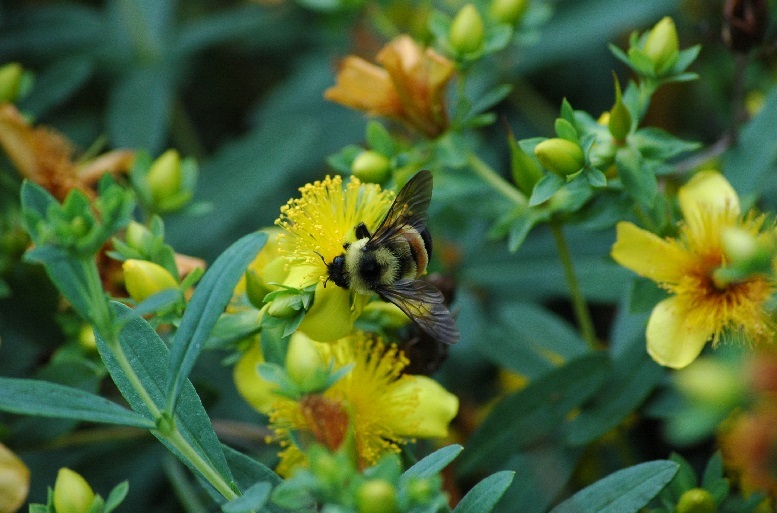 State of Wisconsin Pollinator Protection Plan Contains strategies, background information and resources for farmers, citizens, beekeepers and others.